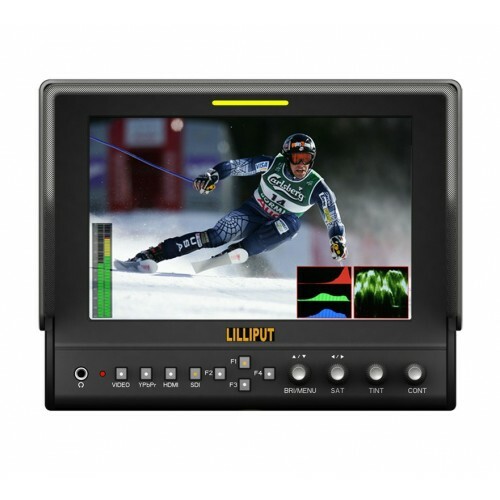 The Lilliput 663/O/P/S2 monitor is a 7" widescreen metal framed LCD field monitor with HDMI, YPbPr (via BNC) and composite video input. Features peaking function and collapsible sunhood. DSLR optimised. Supplied in an attractive flight case for added security. With its compact size, peaking functionality and waveform analysis this monitor perfectly complements your DSLR camera. Focus is a major concern with DSLR users. 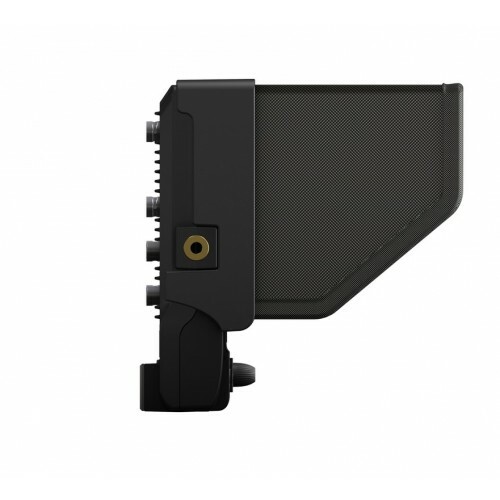 Our field monitors display accurate images, but the 663 makes focusing much easier with its peaking functionality. Most DSLR equipment features a single HDMI output, therefore a splitter is required if multiple monitors are required to be connected. 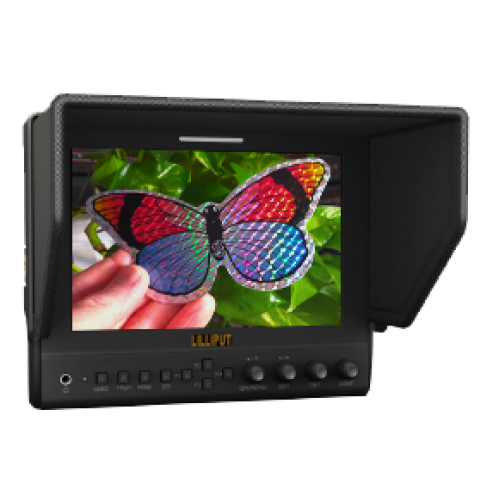 Many Lilliput monitors, including the 663 feature an HDMI output which permits duplicate images to be displayed. 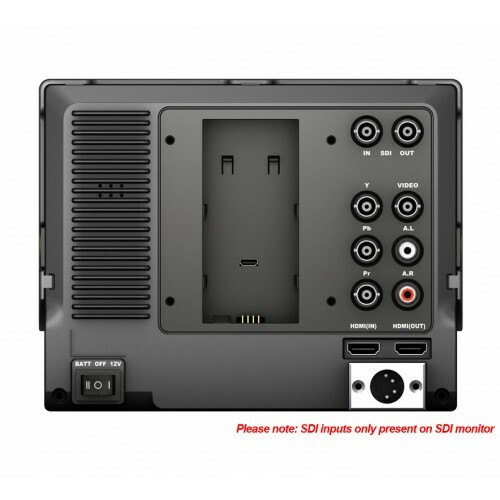 Daisy-chaining using our monitors allows a easy and relatively inexpensive method of producing a video array although the output feature is compatible with any screen having an HDMI input. The 663 features an ultra high native resolution of 1280x800 pixels with intelligent scaling applied when receiving higher resolution HDMI signals. This high resolution gives an extremely detailed image potentially avoiding problems in the post-production environment making it an ideal choice for the discerning professional user. The 663 features an ultra high 800:1 contrast ratio as a result of its advanced LED backlight design. As a result the image will portray an accurate rendition of the composition avoiding issues in post-production. This allows users to customise features using the programmable buttons on this monitor. This feature has been included following requests from our customers as we are unable to include all possible configurations as standard within the menu system. Unlike most monitors the 663 has been designed to accept a wide range of input voltage from 6 to 24V. This allows connection to diverse power sources giving greater flexibility when used in outdoor environments. Features HDMI, component and composite inputs.